Here is our list of Bruce Hornsby setlists in 1986. Please feel free to e-mail Si with any additions or amendments to this list. Thanks to all those who have contributed below! Highlights of 1986 .. 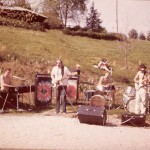 The Way It Is is released .. debut tour for the Range .. opened for Grateful Dead and Huey Lewis.